Dancing with the Docs, presented by MD Financial Management, is the most exciting fundraiser in the Nation’s Capital. 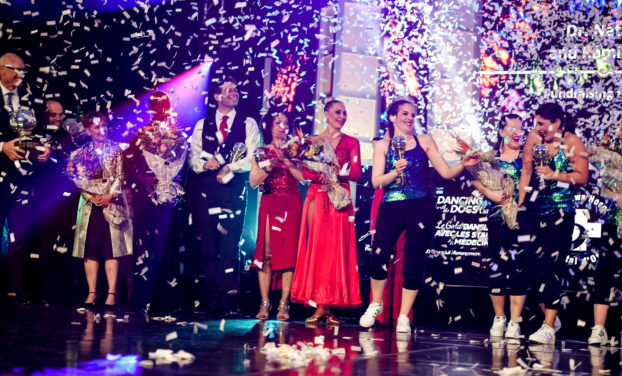 Each year, eight physicians and researchers from The Ottawa Hospital trade their lab coats for dance shoes to compete for the Medicine Ball trophy. This dazzling night raises funds for the advancement of patient care and research at The Ottawa Hospital. Guests are treated to a delicious dinner and an entertaining evening filled with a variety of dances from salsa to rhumba. Once the scores are tallied and the winner is announced, our guests then have their chance to hit the dance floor and test their moves. Dancing with the Docs, presented by MD Financial Management, is the most exciting fundraiser in the Nation’s Capital. We are thrilled to announce a grand total of $455,000 was raised on April 6, 2019, through this incredible, sold-out event.